Well, to effortlessly and effectively copy photos from Sony to computer, the best way is to turn to the Sony photos assistant - MobiKin Assistant for Android (Windows & Mac). This tool can help you to sync all or individual images from Sony to computer with simple clicks. And not only photos, other media files like music, videos and more file types like contacts, text messages can be copied between Sony devices and computer as well. You can click the blue icons below to download the free trial version to have a try. When you complete the software installation, you can start to transfer the Sony photos. Here we will take Windows version as an example. 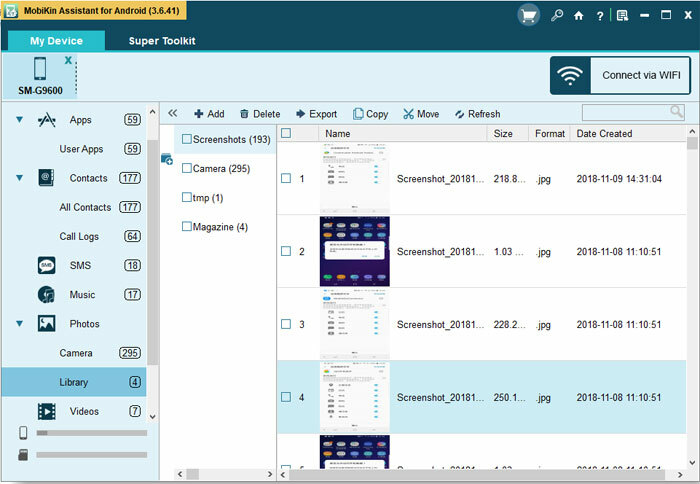 Choose "Photos" tab from the left side menu and the program will scan the connected Sony phone and show all the photos in the right panel. You can carefully preview the photos scanned out. Choose the photos you want to transfer to computer and click "Export" button. 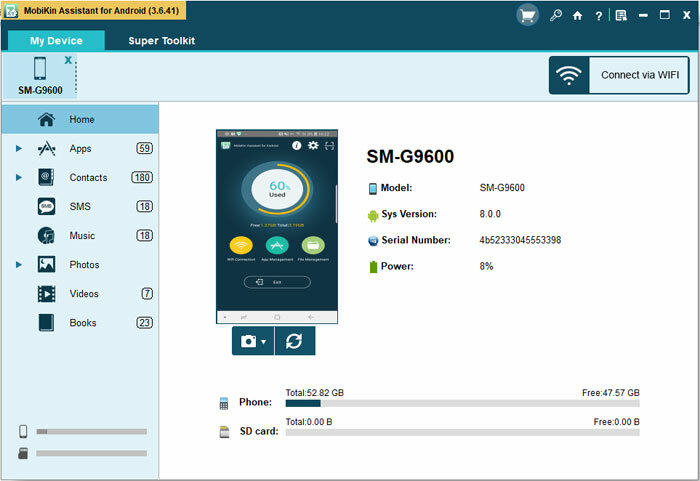 Apart from exporting photos or other files, you can also use this tool to import, delete, or add data to Android phone. 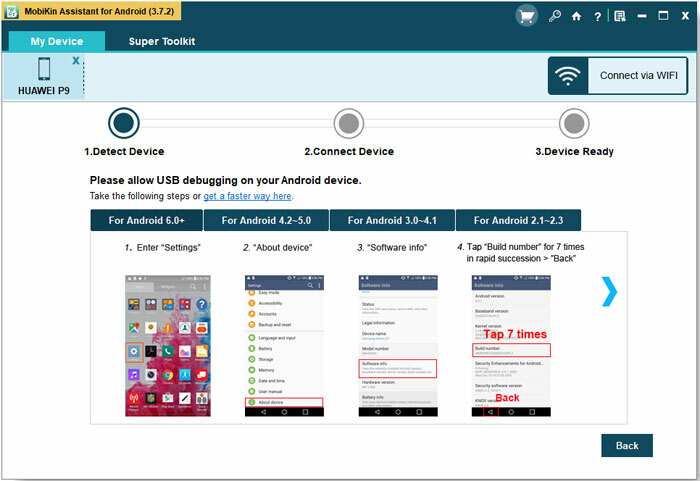 Download Dropbox App from Google Play Store and go with the wizard to properly install it on your device. Open the application and sign in with your account. Then you can tap on "+" icon and choose "Upload photos or videos". After that, you can elect all the pictures you want to save from your phone and upload them to the Dropbox App. Now you can go to dropbox.com on your computer and login to the same account that you used to upload images. Then you can simply download them to your computer. Certainly, other cloud servers like OneDrive, Google Photos, etc. are also available here. You can choose the one you like to transfer and backup your photos. And supposed that you want to transfer photos from computer to Sony, you can also upload the images on computer to the cloud server and then download them to your Sony device. Enter "This PC" on your computer and then click your Sony device to open it. Find out and double-click the folder of "DCIM" to open it and then double-click the "Camera" folder where your photos are stored. You have to open other folder if your photos are not in the selected album. Select the photos you want to move to your computer and right-click to choose the "Copy" option. Or you can directly press "Ctrl + C" to copy these images. Create a new folder where you want to save the copied Sony photos. Then right-click to choose the "Paste" option, or you can directly press "Ctrl + V" on your keyboard to paste the photos to the folder. If you want to transfer photos from computer to Sony, you can select the photos on computer and copy and paste to the "Camera" folder on your Sony phone. Above are three common and easy ways to transfer photos between Sony Xperia and computer. You can compare and select the suitable one to move your images. For those who want to perform the transferring process effortlessly and securely, the first means would be the optimal way.